Spinal cord injuries are can be life-changing and tragic, often resulting in permanent disability. In central California, when an injury to the spinal cord is caused by someone else’s negligence, it’s imperative to obtain immediate legal help from an experienced Fresno personal injury attorney with the law firm of Tomassian, Pimentel & Shapazian. With 75 combined years of experience representing the victims of spinal cord injury, we understand the longterm suffering these injuries can inflict. Spinal cord injuries can permanently keep you from working, yet you may require lifelong care that can cost millions. Tomassian, Pimentel & Shapazian aggressively seeks the maximum possible compensation for spinal cord injuries. Call our spinal injury attorneys today. Spinal cord injuries usually occur in falls, traffic or sports accidents, and violent incidents like stabbings, shootings, and assaults. However, any damage to the vertebrae has the potential to cause a serious spinal cord injury. Spinal cords are composed of vertebrae, nerve cells, soft tissue, and groups of nerves called tracts. When these nerves are damaged, the results are often tragic. If the doctor who treats you after an accident discovers a bulging disc, it usually means cervical radiculopathy. Cervical radiculopathy is pain from the C5, C6, and C7 vertebrae when nerve function is impaired by compression of a nerve root near the cervical vertebrae. An injury here can cause longterm chronic pain and a loss of feeling in different body parts. 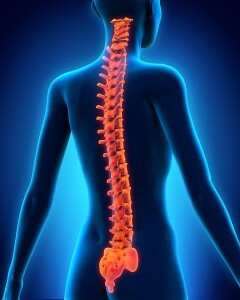 What are some of the most common spinal injuries? Strains and sprains of the back are most common by far; these are the types of injuries that occur during rear-end car crashes. How can I treat a back injury? Physical therapy, ice, strengthening, movement, and massage are the most common treatment. How can back injuries be prevented? 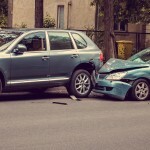 Seat belt use during a car accident helps minimize such injuries. 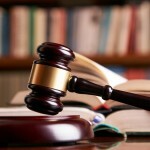 What damages are available from a spinal injury case? Medical bills, pain, and discomfort experienced because of the injury, wage loss, future medical treatment and wage loss. How long does a spinal injury case take to get better? It depends on a lot of factors including age, gender, activity level before the injury, prior injuries, etc. It is not uncommon for someone to feel substantial if not completely better after 4-6 months. How can a spinal injury lawyer help? Insurance adjusters make that word sound like an accusation of fraud. But its a real, medically recognized injury. Having an attorney handle your case will give you peace of mind as they take care of the legal details while you concentrate on recovering from your injuries and getting back to your life. An attorney will help ensure your case is properly processed and the insurance company compelled to pay what they should because of the injuries their insured caused. Your health and future must be your priorities. If you or your loved one has suffered a spinal cord injury because of another person’s negligence, contact an attorney at Tomassian, Pimentel & Shapazian immediately. Our spinal injury lawyers will assess the particulars of your case, explain your options, and guide you through the legal procedures. You may be able to recover immediate and future medical expenses, lost wages, and more. If you’ve suffered a spinal cord injury, don’t wait any longer for the justice and compensation you deserve. Call today. We keep flexible hours to meet your needs, and we return every client call promptly. Tomassian, Pimentel & Shapazian serves clients in Fresno, Madera, Tulare, Kingsburg, and Hanford counties. Our staff speaks Spanish and French; don’t let a language barrier keep you from the legal help you need. 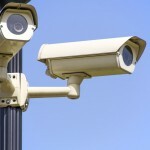 Call Tomassian, Pimentel & Shapazian today at 559-277-7300 or contact us online to arrange a consultation.